The Historic Preservation Education Foundation is currently accepting proposals for the fall 2017 round of its Partners in Training initiative. The initiative was established in 2014 to provide training opportunities on topics associated with preservation technology. The deadline for submissions is Oct. 3, 2017. Grant recipients will be announced on/around Dec. 1, 2017. On July 5, 2017, the Delaware Division of Historical and Cultural Affairs received notification that its museum system, which includes five museums and the archaeological and historic-objects collections of the State of Delaware, has been accredited by the American Alliance of Museums, the highest recognition afforded to museums in the United States. Accreditation signifies excellence to the museum community, to governments, funders, outside agencies and the museum-going public. The newly accredited state museums include the John Dickinson Plantation near Kitts Hummock; the Johnson Victrola Museum and Old State House in downtown Dover; the New Castle Court House Museum; and the Zwaanendael Museum in Lewes. State museums are under the stewardship of the Department of State. The Division of Historical and Cultural Affairs will be sponsoring 12 special events during the month of August at the locations across Delaware. A full schedule is included below. With the exception of DeBraak tours, all programs are free and open to the public. Thomas Edison posing with a tinfoil phonograph. The “Wizard of Menlo Park” will be one of the inventors featured in the program “An Inventor’s Tale: From Tinfoil to the 78” at the Johnson Victrola Museum on Aug. 5 and 19, 2017. Administered by the Delaware Division of Historical and Cultural Affairs, the five museums of the State of Delaware—the John Dickinson Plantation, the Johnson Victrola Museum, the New Castle Court House Museum, The Old State House and the Zwaanendael Museum—tell the story of the First State’s contributions to the history and culture of the United States. Through tours, exhibits, school programs and hands-on activities, the museums shine a spotlight on Delaware’s unique history and the diverse people who came to live there. The museums are accredited by the American Alliance of Museums, the highest recognition afforded to museums in the United States. The New Castle Court House Museum and the John Dickinson Plantation are partner sites of the First State National Historical Park. The Old State House is located on the Dover Green, another partner site of the park. Go to the following for a comprehensive, long-term calendar of division-sponsored events. National Night Out in Historic New Castle. Annual community-building, family friendly event that promotes police-community partnerships and neighborhood camaraderie. Activities at Battery Park include New Castle City Police and Good Will Fire Co. activities, K-9 demonstrations, music, food and more. Activities at the New Castle Court House Museum, 211 Delaware St., include historical interpreters in period clothing, colonial children’s games, coloring activities and photo opportunities in the colonial stock. 6–8 p.m. 302-323-4453. “Who Done It: A Historic Murder Mystery.” Fictionalized historical play in which museum guests assist Delaware’s Dr. James Sykes in questioning suspects in the death of Samuel Bedford, III. Based on a real 18th-century medical mystery solved by Dr. Sykes. First Saturday in the First State program. The Old State House, 25 The Green, Dover. Performances at 1 and 3 p.m. Museum open 9 a.m.–4:30 p.m. Free admission but, due to space restrictions, reservations are required by calling 302-744-5054. “Johnson Victrola Museum’s 50th Anniversary Celebration: An Inventor’s Tale.” Guided tours, entitled “From Tinfoil to the 78,” explore the origins of recorded music from the earliest tinfoil phonographs of Thomas Edison to the Victrola of Eldridge Reeves Johnson’s Victor Talking Machine Company while discovering the brilliant inventors and engineers who took recorded music from a novelty to a daily part of life. Accompanied by 78-rpm records played on authentic Victor Talking Machines. Part of a series of programs celebrating the museum’s creation in 1967. Johnson Victrola Museum, 375 S. New St., Dover. 9 a.m.–4:30 p.m. 302-739-3262. Second annual “Movie Night on the Lawn.” Screening of the Disney film “Moana” plus live music, food trucks, lawn games and a photo booth. Luau themed attire is welcomed. Buena Vista Conference Center, 661 S. Dupont Highway (Route 13), New Castle. Activities begin at 6:30 p.m. Film begins at 8 p.m. Free admission. 302-323-4430. “Doctor Who and William Penn.” Theatrical performance in which the Time Lord once again visits Dover, this time bringing his newest companion, William Penn, all the way from 1704 England. Mr. Penn will soon discover that no journey through time and space ever goes smoothly. Presented in coordination with Dover Comic Con. The Old State House, 25 The Green, Dover. Programs at 11 a.m., 1 p.m. and 3 p.m. Museum open 9 a.m.–4:30 p.m. Free admission but visitors are encouraged to arrive early to ensure seating. 302-744-5054. John Dickinson Plantation closed. Museum closed in support of “Thunder Over Dover,” a free, two-day event at the Dover Air Force Base. 302-739-3277. On Saturday, July 22, 2017, students from Delaware State University will present free interactive, history-related activities at four historic sites located in Dover, Del. The programs were developed as a partnership between the Division of Historical and Cultural Affairs, the First State Heritage Park and Delaware State University’s Jumpstart Program, an academic-enrichment and leadership-development initiative that provides opportunities for academically advanced, incoming freshmen to get a “jumpstart” on their college careers. Delaware State University students who participated in the 2015 Jumpstart Program at the John Dickinson Plantation. A new group of students will take part in programs on July 22, 2017. The Old State House, 25 The Green, Dover, Del. Program explores the stories of enslaved and free individuals as they navigated to freedom from slavery in Delaware. Between 10 a.m. and 3 p.m., five “stations” will be set up throughout the museum where visitors can interact with the students on the following topics: Factors that were at work to eliminate slavery, how manumission became instrumental in freeing enslaved persons, the role of the Underground Railroad, the ordeal of Samuel Burris and the aftermath of the Civil War. At 11 a.m., there will be a presentation in the State House’s court room in which all of the “stations” will be brought together into one program. Johnson Victrola Museum, 375 S. New St., Dover, Del. First State Heritage Park’s John Bell House, 43 The Green, Dover, Del. Between 10 a.m. and 3 p.m., programs will tell the heroic story of the Dover Eight: a group of fugitives who narrowly escaped slavery in Dover in 1857. During the program, the students will help audiences explore the institution of slavery in Delaware, as well as the trials people faced as they escaped along the Underground Railroad. John Dickinson Plantation, 340 Kitts Hummock Road, Dover, Del. Between 10 a.m. and 2:30 p.m., students will recreate the lives of people associated with the plantation. In this interactive program, visitors will meet people from the past and hear their stories as they move through the mansion house. Stories will include the lives of the Dickinson family members, tenant farms, free African Americans and enslaved people. A special hands on activity will be available at the visitor center to complement the tour. One of Delaware’s most historic estates will host an outdoor screening of the Disney film “Moana” on Sunday, Aug. 13, 2017. The event will take place on the lawn of the Buena Vista mansion located at 661 S. Dupont Highway (Route 13), in New Castle, Del. Visitors are invited to bring blankets and chairs or they may sit directly on the grass. Between 6:30 and 8 p.m., activities will include lawn games, live music and the Professor Looney Photo Booth. Food and beverages will be available from the Plum Pit food truck. Screening of the film begins at 8 p.m. Note: This event, originally scheduled for July 22, 2017, was postponed due to inclement weather and rescheduled for Aug. 13, 2017. The Delaware Division of Historical and Cultural Affairs notes, with sadness, the passing of Gloria Messina, a former historic-site interpreter from the 1980s and 90s who served primarily at the John Dickinson Plantation, but also at the division’s downtown Dover museums. Messina, who was 88 years old, died on June 19, 2017. During her early years at the John Dickinson Plantation, Messina was one of the first historic-site interpreters in the state to dress in historically accurate, period clothing. She was passionate about Delaware history, conducting research, developing historical skits and creating the plantation’s annual holiday decorative-dessert display. In 1993, she was named Delaware state government’s Employee of the Year by Gov. Tom Carper. The Delaware Division of Historical and Cultural Affairs is planning a number of capital improvements at the Academy building, a state-owned historic property that the agency administers in downtown New Castle, Del. Improvements, which will begin in late summer/early fall 2017 and continue for approximately 30 days, will include replacement of the building’s existing wood-shingle roof with a new wood-shingle roof; limited coating of the existing cupola and bay metal-roofs; and minor exterior-wood consolidation, repair and painting, where needed. Located at 31 E. Third St., the New Castle Academy was built in 1799 according to a design by Peter Crowding, a Philadelphia master builder. It served as a public school until 1930 when the New Castle High School was built. The property is currently leased to Immanuel Episcopal Church which utilizes it for many church-related and community activities. The building is one of four historic properties (The Green, New Castle Court House Museum, Arsenal and Academy) that the division administers in Delaware’s original capital city which also serves as the headquarters of the First State National Historical Park. The division will work with the construction contractor and Immanuel Church to limit inconvenience to the public, and the Academy building will remain open during the project. Residents and visitors will see the usual presence of equipment, materials and workers on site as well as the usual noises that go with roofing work during daytime hours. No weekend work is anticipated. On Dec. 14, 2017, members of the Johnson family, museum employees and friends gathered to celebrate the 50th anniversary of the opening of the Johnson Victrola Museum which highlights the life and achievements of Dover’s native son, Eldridge Reeves Johnson, founder of The Victor Talking Machine Company. 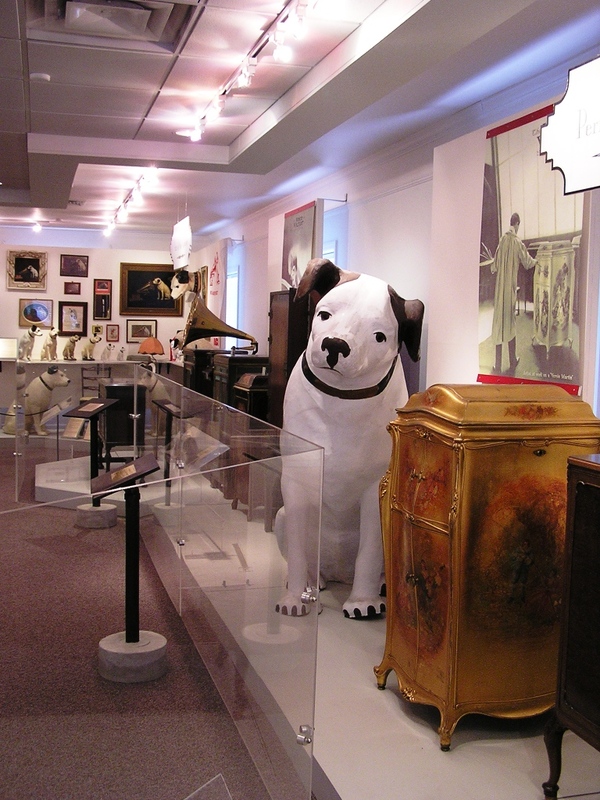 Located at 375 S. New St. in Dover, Del., the museum showcases a wide variety of talking machines, trademarks, recordings, objects, paintings and advertisements to tell the story of Johnson’s life, his company and the development of the sound-recording industry. Constructed by the State of Delaware with an endowment provided by the Johnson family, it opened to the public on Dec. 14, 1967. Celebrating the 50th anniversary of the Johnson Victrola Museum on Dec. 14, 2017. From left: Museum staff members Nena Todd, Chris Hall, Susan Emory, Jackie Collins and Steven Mumford; and Johnson family members Fletcher Johnson and Anne Fenimore. 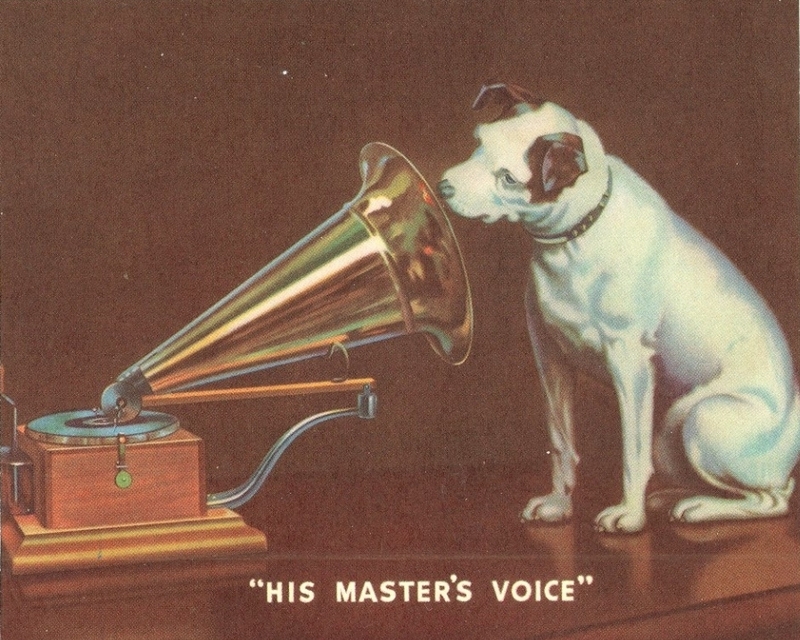 Beginning in July 2017 and continuing until its culmination on Dec. 14, 2017, the museum’s anniversary celebration featured a series of programs and activities organized according to the following themes: Inventors and engineers who helped create the sound-recording industry; Nipper, the dog who adorns the Victor trademark, “His Masters Voice”; music recorded by Victor in support of the Allied effort in World War I; and Victor’s influential recordings in the genres of classical, country, jazz and operatic music. “A Marching Band’s Tale.” In observance of Independence Day, the museum presented “John Philip Sousa: Stars and Stripes,” guided tours that explored patriotic music recorded by John Philip Sousa and other Victor artists accompanied by 78-rpm records played on authentic Victor Talking Machines. “The Golden Age of Jazz.” Screenings of Ken Burns’ documentary “Jazz” including episode one, “Gumbo”; episode two, “The Gift”; episode three, “Our Language”; episode four, “The True Welcome”; and episode five, “Pure Pleasure.” Screenings took place at the Dover Public Library. “A Jazz Tale.” Lecture, “Duke Ellington and Rosedale Beach,” explored the history of the popular waterfront resort run by, and for, people of color which featured internationally renowned performers; and lecture “Fats Waller” explored the life and achievements of the noted jazz musician. “The Golden Age of Jazz.” Screening of the following jazz-themed films: “Jazz on a Summer’s Day” about the 1958 Newport Jazz Festival; episode six, “Swing, the Victory of Celebration,” from Ken Burns’ documentary “Jazz”; “Let’s Get Lost” about trumpeter Chet Baker; episode seven, “Dedicated to Chaos,” from Burns’ “Jazz”; Spike Lee’s “Mo’ Better Blues”; and episode eight, “Risk,” from Burns’ “Jazz.” Screenings took place at the Dover Public Library. “A Jazz Tale.” Lecture, “All That Jazz,” explored the origins of jazz music, its early pioneers and the contributions made to the art form by Victor Records; and a musical ensemble from DonDel Enterprises presented “All That Jazz: From the Beginning” featuring songs and dances from the early days of the art form. “The Golden Age of Jazz.” Screening of the following jazz-themed films: Episode nine, “The Adventure,” from Ken Burns’ documentary “Jazz”; “What Happened, Miss Simone?” about singer Nina Simone; episode 10, “A Masterpiece at Midnight,” from Burns’ “Jazz”; and “Miles Ahead” about trumpeter Miles Davis. Screenings took place at the Dover Public Library. “An Inventor’s Tale.” Guided tours, entitled “From Tinfoil to the 78,” explored the origins of recorded music from the earliest tinfoil phonographs of Thomas Edison to the Victrola of Eldridge Reeves Johnson’s Victor Talking Machine Company while discovering the brilliant inventors and engineers who took recorded music from a novelty to a daily part of life. “Johnson Victrola Museum’s 50th Anniversary Celebration.” Guided tours explored the museum and its collections during the golden anniversary of its creation in 1967, accompanied by 78-rpm records played on authentic Victor Talking Machines. “A Diva’s Tale.” Program, “From Prima Donnas to Divas: A Victor Creation,” examined the talented female vocalists of the Victor Talking Machine Company and how they paved the way for the divas of today. Rosa Ponselle was featured as part of the “Diva’s Tale” program on Oct. 7, 2017. “A Classical Tale.” Guided tours, entitled “Some Like Classical,” explored some of Victor Records’ earliest recordings of classical music. 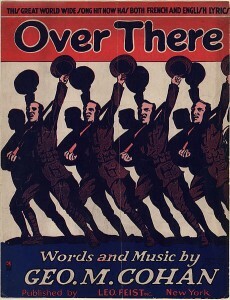 “A Soldier’s Tale.” Guided tours, entitled “The Victors of World War I: The Power of Music,” examined music’s influence during World War I when patriotic songs were being composed throughout America. 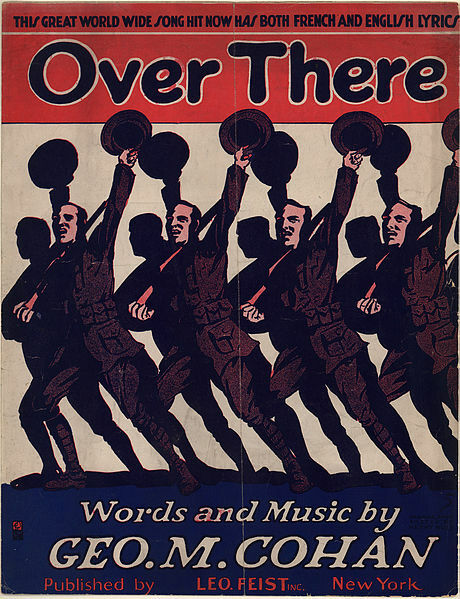 “Over There,” recorded by Victor Records, was a patriotic hit during World War I. “A Country Tale.” Program, “Play That Old-Time Country Music,” explored Victor Records’ early recordings of country music. “50th Anniversary Celebration.” Activities included music, merriment and refreshments on the 50th anniversary of the museum which opened to the public on Dec. 14, 1967. Administered by the Delaware Division of Historical and Cultural Affairs, the Johnson Victrola Museum is accredited by the American Alliance of Museums, the highest recognition afforded to museums in the United States. A schedule of activities for the museum’s 50th Anniversary Celebration is included below. All programs are free and open to the public.